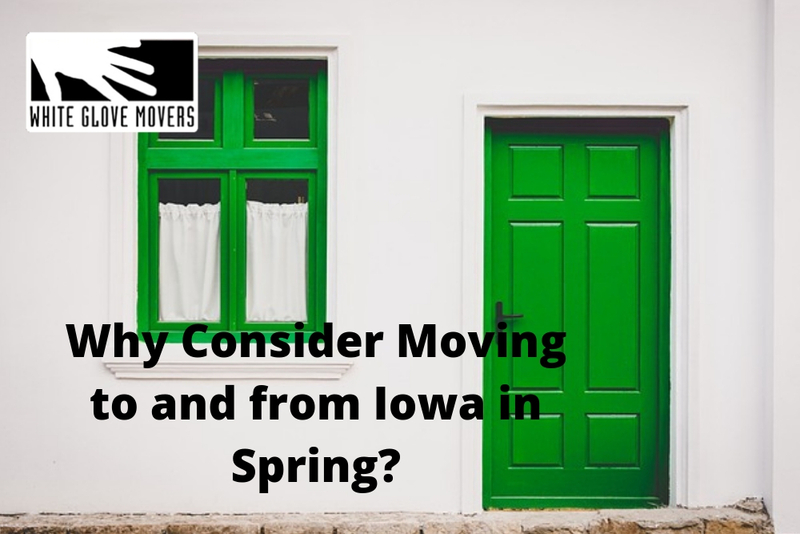 Are you moving to a new house in Iowa? Do you have an exact date when to move? Well, moving might not be too easy but here are some things you can consider. Spring is coming in and the grass is definitely getting greener. The flowers are blooming and the warmth of this season will soon get hotter, too. All of this makes it the perfect time to start moving. Here are more reasons why you should make the move, now. June to August is the highest peak for any mover. Dealing with these can end you up struggling with appointment dates. Spring period, on the other hand, is the season where many professional movers in Iowa’s rate is lower. So hiring professional movers in Iowa during springtime can definitely help save you money. Moving in and out on a hot summer day or freezing temperature is hard to deal right? You don’t want to be all sweaty and smelly while moving your things in Iowa. But wouldn’t it be harder if you are going to deal with chilling winds or snow? That is why spring season is the ideal time for you to relocate to Iowa. But there is a little setback because spring is also known to be the rainiest time of the year. Thus, make sure that the moving company in Iowa whom you will choose is dependable even if it rains. Summer is vacation time for most people; but you can also use this time to slowly settle in your new house in Iowa, get to know your surroundings, and make new friends with new neighbors. Move in during spring so you will have enough time to settle in at summer. Thus, you get to enjoy your new house in Iowa during one of the nicest seasons. You are going to see all your things when you are moving out to Iowa. For sure you’ll have unused stuff. What are you going to do with these? You can use this time to sort out your things. Reduce the number of stuff you have to move. This way you can lessen the fee for movers in Iowa. As a solution for the unused stuff, why not put in on a garage sale? This way you have not only reduced your stuff, but you have also earned a few bucks from it. Spring will be the best moving season for you if you are ready to do so. Everything will still depend on you. No matter what your decision is, White Gloves Mover is here to help you!! Drop us a call and we are more than glad to help. Take care in relocating to Iowa. Cheers!